Next week on the 14th and 15th May, Leapfrogg is proud to be sponsoring the illustrious SheerB2B conference for the fourth time and speaking on both days of the conference. The conference is run by the SheerLuxe team who run a directory and online lifestyle magazine featuring the very best in high-end retail. 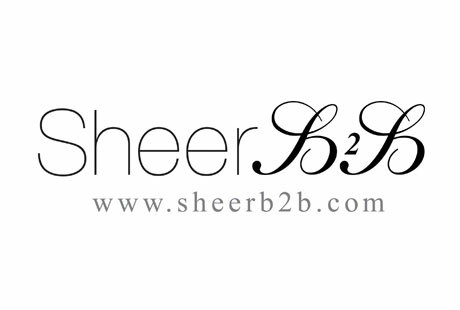 Now in its seventh year, SheerB2B brings together experts from the world of online retail for two days of learning, discussion and networking to help premium etailers successfully grow their online businesses. Leapfrogg will be presenting on both days of the conference and we’re in good company with the likes of Sweaty Betty, Warehouse, Astley Clarke and French Connection speaking, along with our friends at Navigate and Feefo. Leapfrogg’s managing director, Rosie, will be kicking off the first day of the conference and exploring five of the major challenges faced by retailers in trying to meet customer expectations and stay ahead of the competition, giving some practical ideas and examples on how to overcome these challenges. On the second day of the conference, Lucy, Leapfrogg’s insight and strategy director will look at five things our clients learnt about their customers just by asking. Her quick-fire session will emphasise the importance of insight to shaping customer experience and digital marketing strategies. If you’re interested in attending the conference, then please contact Jessica Royds (jessicaroyds@sheerluxe.com). We very much look forward to what is set to be another great event! Do watch this space for a round-up of the event our presentations from the conference. ← What does the future hold for the Google+ platform?